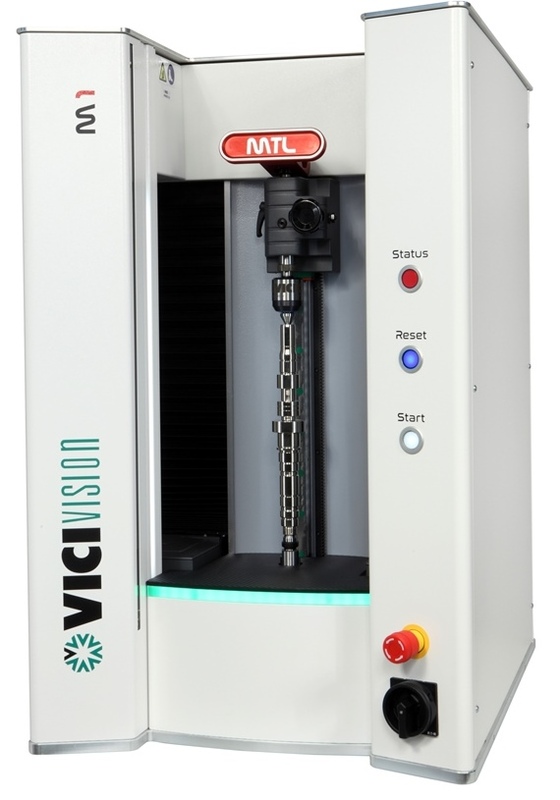 Bringing the latest solution for cylindrical component measurement to manufacturers across the UK and Ireland, VICIVISION UK has released the brand new and advanced M1 optical system with improved functionality and optimal performance in mind. Integrating maximised ergonomics with superior functionality, the M1 is VICIVISION’s latest innovation designed to specifically increase throughput and improve accuracy directly within your production environment. New features include a live image display of the piece, combined with the LED illuminated working area and a new high resolution Giga Ethernet camera to capture even the finest of details. Thus giving a clear vision of the component’s condition during the measurement process. Retractable sensors provide reinforcement during loading and unloading, with additional one-of-kind protective bumpers. Introducing greater efficiency in smaller batches, the M1 offers unrivalled performance in its compact design making it the ideal system for measuring multi-spindle lathes as well as sliding head lathes in the most hostile of environments. From simple fittings to small shaft measuring, this system is perfect for cylindrical component measurement of up to 30 by 600 mm. With a firm focus always on optimising turned part & shaft measurement operations and results, VICIVISION continues to innovate the market through leading designs that aim to provide manufacturers with the ultimate solution to optimise your production routine and final product performance. The M1 has been specifically designed with these factors in mind and guarantees to reduce measuring times through faster part data collection and without compromise of quality.